Austin Exploration has identified a series of high impact oil exploration targets in the Pierre Shale at its Pathfinder Project in Fremont County, Colorado. Austin is the operator here and controls a 100% Working Interest in its 15,282 acre property that lies over the prolific oil and gas bearing DJ Basin. 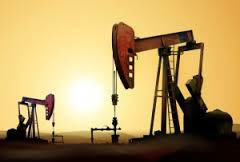 Austin's C18#2 well will be drilled in December and a discovery should unlock a significant amount of value in the project, with the Company's Pathfinder property big enough to accommodate more than 350 wells. The site has been staked and it is anticipated that Colorado State drilling permits will be issued in the coming weeks. Austin has been methodically de-risking its field development at Pathfinder by applying the most modern engineering and geophysical exploration techniques available for this upcoming well, including a 3D seismic program, surface geochemistry work and satellite imagery studies.